All Supplements – Doctors Research, Inc.
is a 100% Food supplement that is intended to supply nutrients, glandulars, and herbs needed to maintain optimal joint health. 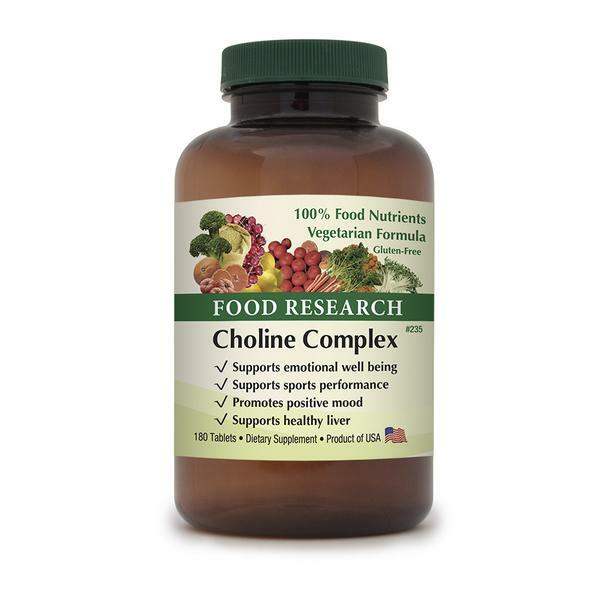 Bovine tracheal tissue naturally supplies chondrocytes including glucosamine and chondroitin. Herbs, like devil’s claw, have long been used to support joint health. Aller-Lung Support™ is a 100% vegan Food supplement that intended to supply nutrients needed to maintain and support optimal sinus, lung, and immune system health. Aller-Lung Support™ contains no synthetic USP nutrients or isolated mineral salts; is only comprised of foods, food complexes and concentrates. Anxie-Tone™ also naturally contains carbohydrates, lipids, proteins, and truly organic bioflavonoids as found in specially grown, enzymatically processed Saccharomyces cerevisiae and citrus fruits. Arginase Bladder™ is a 100% Food supplement that is intended to supply nutrients to support healthy kidney and bladder function. The kidneys process proteins and liquids and are the primary organs involved in eliminating metabolic waste products from the blood. Arginase Bladder™ is intended to support the cleaning ability of the kidneys. Biofilm Detox is a 100% vegetarian FOOD supplement that supplies herbs and enzymes. These natural substances are intended to help the body rid itself of biofilms and other environments that certain pathogenic microorganisms sometimes thrive in. Cardio-Power™ is a 100% Food supplement that is intended to supply nutrients, glandulars, and herbs needed to maintain and support optimal cardio-muscle health. Cardio- Power™ naturally contains carbohydrates, lipids, proteins (including all essential amino acids), and truly organic bioflavonoids. Cholester-Right™ is a 100% vegan Food supplement intended to nutritionally support the body in balancing healthy cholesterol levels. Cholester-Right™ comprised of foods or food extracts, food complexes, and food concentrates, contains no synthetic USP nutrients or isolated mineral salts. Co-Q10 Cardio™ is a 100% vegan Food supplement that is intended to supply nutrients needed to maintain optimal and support cardio-muscle health. Co-Q10 Cardio™ supplies plant-source co-enzyme Q10, a nutrient that is important for healthy cardiovascular system function, along with superior antioxidant protection and other herbs. Complete Ear Health™ is a 100% Food supplement that is intended to supply nutrients, glandulars, and herbs needed to maintain and support optimal ear health. Goat ear tissue naturally contains nutrients needed for the ears. Tillandsia is a type of moss that provides nutrients and has strong absorptive properties. Complete Eye Health™ is a 100% Food supplement that is intended to supply nutrients glandulars, and herbs needed to maintain and support the healthy functioning of the eyes. Complete Eye Health™ contains herbs, nutrients, and goat eye tissue. Goat eye tissue contains proteins and other nutrients found in health functioning eyes. Complete Smell and Taste™ is a 100% Food supplement that is intended to supply nutrients, glandulars, and herbs needed to maintain and support optimal olfactory and tongue health. It contains goat tongue and olfactory tissues which contain proteins and other nutrients found in properly functioning taste and smell receptors. Conga-Immune™ is a 100% Food supplement that is intended to supply nutrients needed to maintain and support optimal thymus, throat, and immune system health. Bovine bone marrow produces B-lymphocytes which are the basis of much of what most consider to be part of the immune system and also produces red blood cells. D Complex™ is a 100% vegan Food supplement that is intended to supply 100% FOOD vitamin D. Vitamin D helps with the absorption of food calcium and even has hormone-like functions within the human body. Studies have shown that FOOD vitamin D is at least 10 times as effective to prevent rickets than a USP form. Detox-N-Cleanse™ is a 100% vegan FOOD supplement. Detox-N-Cleanse™ is a synergistic blend of foods and food extracts intended to help support healthy colon, urinary, metal, and other detoxification. Pollution can be a serious issue, detoxification from toxins makes a great deal of sense in this chemically-altered modern world. Digesti-Pan™ is a 100% Food supplement that is intended to supply enzymes, glandulars, and herbs needed to maintain optimal and support digestive health. Digesti-Pan™ contains digestive enzymes, pancreatic tissue, betaine hydrochloride, okra, and other herbs; and is comprise of foods, food complexes and concentrates. GB Support™ is a 100% Food supplement that is intended to supply nutrients, glandulars, and herbs needed to maintain and support optimal gall bladder and digestive health. GB Support™ provides bile supporting healthy metabolism and absorption of dietary fat. Gluco-Sugar-Balance™ is a 100% vegan FOOD intended to help support a healthy balance of glucose in the body. It contains minerals, such as chromium GTF and vanadium, as well as herbs to nutritionally support the body’s blood sugar systems. Green Vegetable Alkalizer™ is a 100% vegan FOOD supplement that is intended to supply 100% Food green alkalizing plants. Green plants naturally contain chlorophyll, potassium, phosphorus, and other nutrients. Hematic Formula™ is a 100% vegan FOOD supplement that is intended to supply nutrients needed to maintain optimal and support blood health. Hematic Formula™ is not constipating like iron-salt supplements can be. 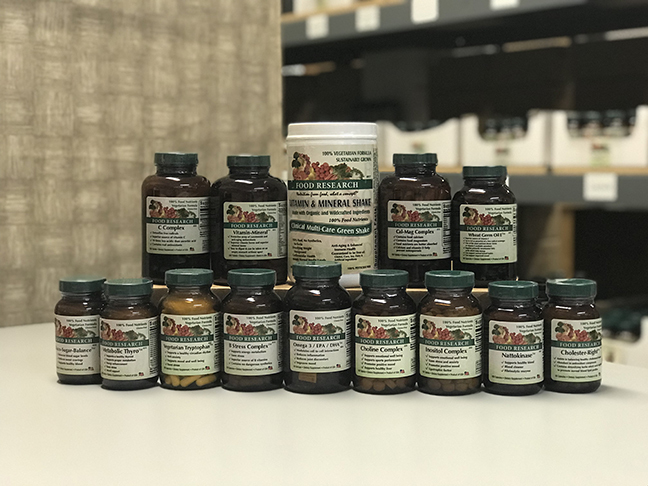 Herbal Antioxidants™ is a 100% vegan FOOD supplement that is intended to supply real antioxidant nutrients needed to maintain and support optimal health and protection from free radicals. Each of the antioxidant nutrients are 100% whole food and synergistically protect against a wide range of free radicals. High Stress Adrenal™ is a 100% FOOD supplement that is intended to supply nutrients, glandulars, and herbs needed to maintain and support optimal adrenal health. High Stress Adrenal™ contains many of the substances produced by, or naturally in, those glands including peptides, hormone precursors, and enzymes. Inflam-Enzymes™ is a 100% FOOD supplement that is intended to supply nutrients, enzymes, glandulars, and herbs needed to maintain and support optimal ligament and tendon health. Manganese is essential to the synthesis of connective tissue and is involved in the health and maintenance of ligaments and tendons. Inositol Complex™ was once called vitamin B-8. It is a lipotrophic factor, a chelater, and seems to have positive effects on the immune system. Inositol is involved with the formation of phospholipids as well as cholesterol metabolism and supports emotional well being, it eases stress and anxiety.​ It also shares many of choline’s functions. Intracellular Cough™ is a 100% Food supplement that is intended to supply nutrients, glandulars, and herbs needed to maintain and support optimal immune and lymphatic system health. Intracellular Cough™ is a pluriglandular formula that also includes immune system supporting herbs. Le Feminine Advantage™ is a 100% Food supplement supplies nutrients, glandulars, and herbs needed to maintain and support optimal female health. Le Feminine Advantage™ is only comprised of foods, contains no synthetic USP nutrients or isolated mineral salts. Libida-Life™ is a 100% Food supplement that is intended to have anti-aging properties and support a healthy sexual response system. 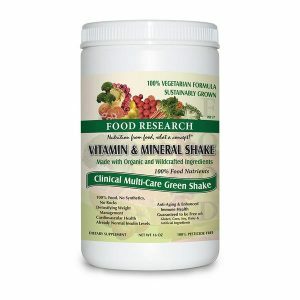 It contains minerals, herbs, and the amino acid L-arginine. Zinc, selenium, L-arginine, maca silymarin, astragalus, and a resveratrol are all believed to have antioxidant abilities. Liva DeTox & Support™ is a 100% Food supplement that is intended to supply nutrients, glandulars, and herbs needed to maintain and support optimal liver health. Liva DeTox & Support™ is only comprised of foods, contains no synthetic USP nutrients or isolated mineral salts. Metabolic Thyro™ is a 100% FOOD supplement that is intended to supply nutrients, glandulars, and herbs needed to maintain and support optimal thyroid health. It also contains both naturally-iodine containing kelp and plant source l-tyrosine. Migratrol™ is a 100% FOOD supplement that is intended to supply nutrients, glandulars, and herbs needed to maintain and support optimal thyroid health. A mild product that often is used by older people and some with headaches. Nattokinase is a 100% vegan FOOD supplement that is intended to supply nutrients needed to provide high quality vegan nattokinase. It is only comprised of food complexes and/or food extracts, and considered to be a fibrinolytic enzyme. 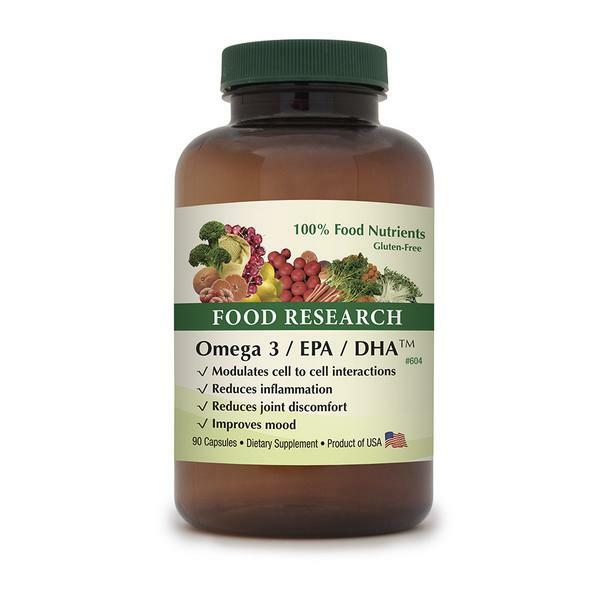 Omega 3/EPA/DHA™ is a 100% FOOD supplement that is intended to supply nutrients needed to provide high quality herring source essential fatty acids like omega 3 as well as EPA, DHA, and support factors. Omega 3/ EPA/ DHA™ naturally contains those nutrients found in molecularly distilled Herring oil. Para-Dysbio-Zyme™ is a 100% FOOD vegan supplement that is intended to supply enzymes and herbs needed to maintain optimal and support digestive health. Para-Dysbio-Zyme™ provides herbs and various proteolytic enzymes to support the healthy functioning of the gastrointestinal system. Pro-Enzymes™ is a 100% FOOD vegan supplement that is intended to supply enzymes, probiotics, and herbs needed to maintain optimal and support digestive health. The enzymes, herbs, and probiotics in this product are all plant source. 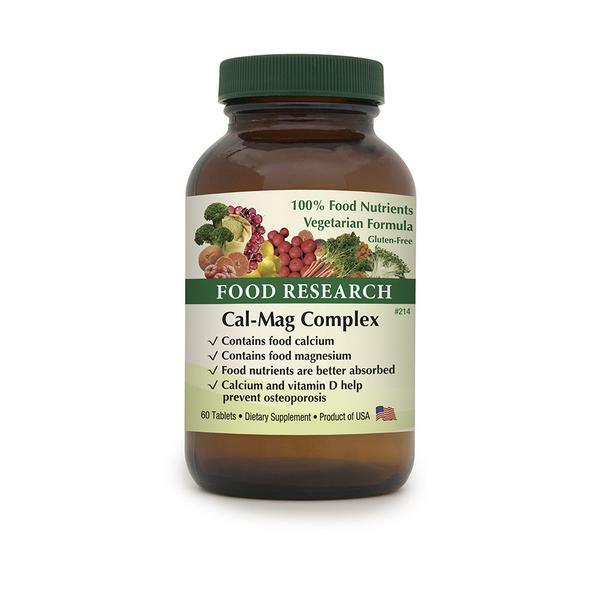 This is a true vegan digestive and probiotic support product. Probio-Zyme-Yst™ is a 100% FOOD vegan supplement that is intended to supply enzymes, prebiotics, probiotics, and herbs needed to maintain optimal and support digestive health. It contains nutrients that aid in the maintenance, as well as establishment, of normal intestinal flora and proper pH. Prosta-Power™ is a 100% FOOD supplement that supplies nutrients, glandulars, and herbs needed to maintain and support optimal prostate and male health. Prostate tissue helps maintain the prostate gland in a good state of repair. Restful Mind Support™ is a 100% FOOD supplement that is intended to supply nutrients, glandulars, and herbs needed to maintain and support optimal feelings of well being and normal sleep. The pineal gland helps regulate circadian rhythm. Selenium E™ is a 100% vegan FOOD supplement that is intended to apply 100# Food vitamin E and Selenium. Selenium also seems to support thyroid hormone production, have antioxidant effects, exists in parts of many enzymes and supports cardiovascular health. Serious Brain Enhancer™ is a 100% FOOD supplement that is intended to supply nutrients, glandulars, and herbs needed for optimal brain health. It contains pituitary, medulla, and other bovine tissues, along with the antioxidants selenium and vitamin E.
The liver contains Kupffer cells, which are large macrophages that can efficiently cleanse the blood of various bacteria. Thymo-Immune™ is a 100% FOOD supplement that is intended to supply nutrients for needed to maintain and support optimal thymus and immune system health. Thymo-Immune™ contains Acerola cherry, one of the most vitamin C dense foods. Uro-Kid Support™ is a 100% FOOD supplement that is intended to supply nutrients to support healthy kidney and urinary system function. The kidneys are the primary organs involved in eliminating metabolic waste products from the blood. Vegetarian Adrenal™ is a 100% vegan FOOD supple-ment intended to nutritionally support the adrenal glands that play a role in energy, stress, mood, and even pain control. Vegetarian Adrenal™ helps biochemical imbalances asso-ciated with cortisol production. Vegetarian Thyro™ is a 100% vegan FOOD supplement intended to nutritionally support the thyroid and improve metabolism. It contains nutrients such as l-tyrosine and iodine, the building blocks of the thyroid hormones. Vegetarian Tryptophan™ is a 100% vegetarian FOOD supplement that supplies tryptophan. Tryptophan is an esstenial amino acid and is needed to make many of the protein structures in the body. Vegetarian Tyrosine™ is a 100% vegetarian FOOD supplement that is intended to supply nutrients needed to provide high quality vegan tyrosine and support factors. Tyrosine is an amino acid used by adrenal glands and thyroid. Vira-Bac-YST™ is a vegan 100% FOOD supplement that is intended to support a health immune and digestive system. It contains herbs such as Wild Oregano, carbohydrates, lipids, proteins (including essential amino acids). Vira-Chron™ is a 100% vegetarian FOOD supplement that is intended to supply nutrients needed to maintain and support optimal immunde system health. It is also taken by some to support digestive system health when imbalances are encountered. Vitamin B6, B12, & Folate™ is a 100% vegan FOOD supplement that is intended to supply nutrients needed to provide high quality 100% Food vitamins B6, B12, and B9 (folate). It does not contain USP folic acid as that form is not what is found in natural foods. 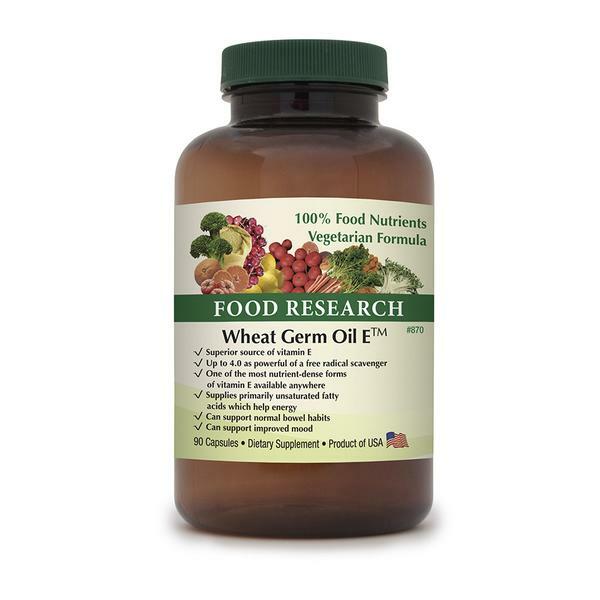 Wheat Germ Oil E™ is a 100% FOOD supplement to supply nutrients needed to provide high quality 100% Food vitamin E.
Wheat germ oil naturally also contains octacosonal and has been used by some interested in better athletic performance and mood support. Zinc Complex™ is a 100% vegetarian FOOD supplement to supply nutrients needed to provide high quality 100% Food organic zinc. Zinc serves a catalytic role in enzymes from all six classes of enzymes and more than 300 Zn metalloenzymes have been identified. Vitamin-Mineral™ is a 100% vegetarian FOOD supplement that is the best multi-vitamin, multi-mineral product available anywhere. It does not contain ANY isolate USP nutrients, plus it contains the RDI amount of the more costly food nutrients such as chromium GTF. 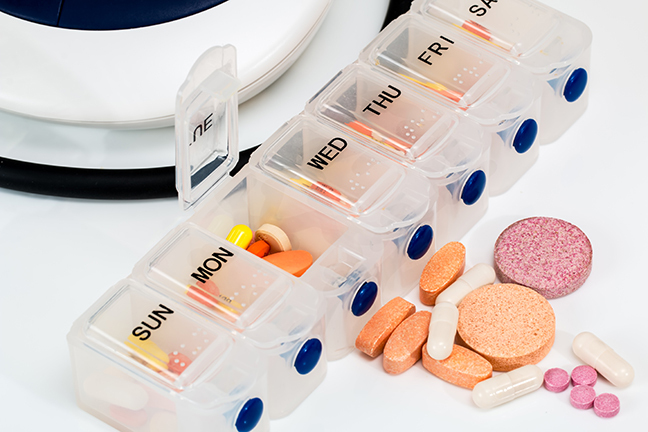 Most multi-vitamin formulas are primarily synthetic (e.g. petroleum-derived) vitamins plus crushed industrial rocks, yet even peer reviewed medical research has concluded that food vitamins are superior to synthetics . Numerous scientific papers have concluded that Food vitamins and minerals are better than USP isolated "nutrients" because they contain important enzymes, peptides and phytonutrients which are critical to the utilization of vitamins and minerals and are lacking in isolated USP nutrients [e.g. 1,2]. Vitamin & Mineral Shake™ is a 100% vegetarian FOOD supplement that is intended to supply nutrients needed to provide high quality 100% Food vitamins and 100% Food minerals in a green powder form that can be mixed into liquid shake. Numerous scientific papers have concluded that Food vitamins and minerals are better than USP isolated ‘nutrients’ because they contain important enzymes, peptides and phytonutrients which are critical to the utilization of vitamins and minerals and are lacking in isolated USP nutrients [e.g. 1,2]. Most multi-vitamin formulas are primarily synthetic (e.g. petroleum-derived) vitamins plus crushed industrial rocks, yet even peer reviewed medical research has concluded that food vitamins are superior to synthetics .